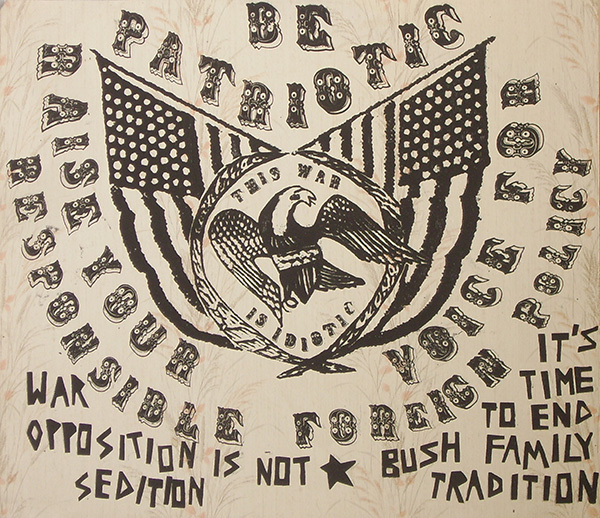 From the time of the American Revolution to contemporary campaigns like Black Lives Matter and Fight for 15, posters, visual culture, and printmakers have been involved in every social movement this country has ever seen. 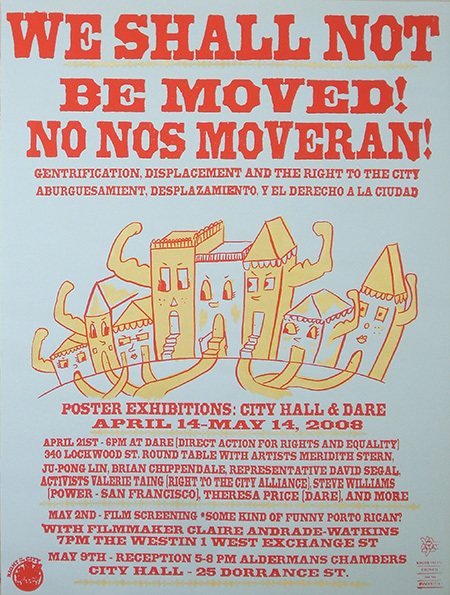 Screenprinting is an accessible, affordable, and efficient way of producing large quantities of large-scale printed matter for a variety of purposes including political activism. In this workshop, students will learn the nuts and bolts of screenprinting, look at a variety of approaches to using visual media as part of organizing strategies, and produce a finished run of multi colored posters. Xander Marro (American b. 1975) has been living the good life in the feminist sub-underground for too many years to count on her long bony fingers. She draws pictures (usually narrative), makes movies (usually not narrative), produces plays with elaborate sets and costumes (usually narrative, but confusing), and then makes stuff like posters, quilts and dioramas (probably narrative?). Her work is often about spiritual relationships to the material stuff of this world. Co-founder of the Dirt Palace in 2000 (feminist cupcake encrusted netherworld located along the dioxin filled banks of the Woonasquatucket river, which is to say in Providence, RI USA). Her studio (and heart) is there still. She cut her teeth in arts management on the jagged edges of spreadsheets at AS220 while serving as the Managing Director. She’s been involved with issues around affordable housing and the changing landscape of urban America for nearly two decades. She currently serves as the Treasurer of ONE Neighborhood Builders, a Providence community development corporation, and is on Providence’s Art and City Life Commission.